Few days ago, Florida Today reported a story of a couple Ann and Ken Fredericks who celebrated their 60th wedding anniversary this month. 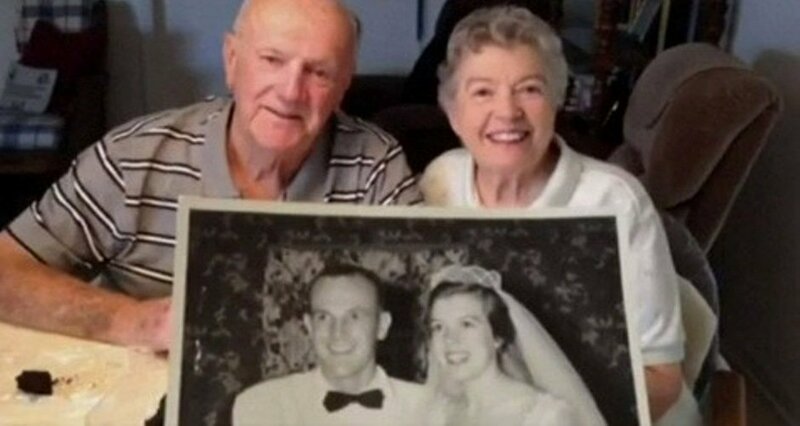 This couple residing in the Satellite Beach, Florida, revealed their secret of their marriage lasting for 60 long years. 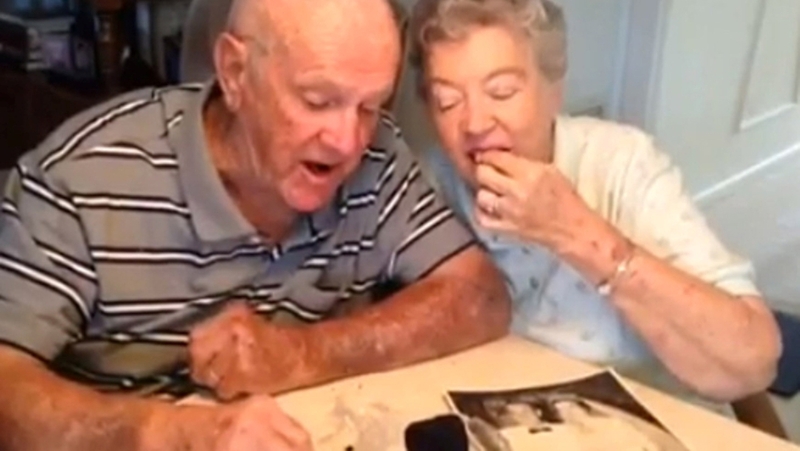 The Fredericks couple celebrates their wedding anniversary every year by eating a bite of their wedding cake. The cake is not something similar to their wedding cake, but is the same cake Ann’s grandmother had baked for her wedding. On 19th August 1955 Ann and Ken got married at Grace Episcopal Church in Nyack in New York. Ann’s grandmother baked a three-layer fruit cake a few months before the wedding. After the cake settled it was covered with hard shell and a layer of butter cream frosting was applied at a local bakery. After their marriage the couple stored the remains of the wedding cake covered in a plastic wrap in a metal coffee can. But they did not store the cake in the refrigerator or in the freezer. They have just kept the can inside a closet at room temperature. Every August on their anniversary day the couple opens the metal can to have a bite of their wedding cake. Over the years the cake has become dry so they pour brandy over the cake to make it moist. Along with the cake, they drink a bottle of champagne and watch their wedding video. After the annual bite the cake is again wrapped and kept back into its coffee can. After 6 decades the cake is now 4-by-3 inches big. Ann now 81 and Ken 85 say that the cake is still tasty and has never made them sick .Their three children have never tasted the cake. They have always refused whenever Ann and Ken offered them a bite. The couple hopes to do it again next year. “We wouldn’t recommend practically any food that old. A 60-year-old cake would likely remain safe to eat if it’s kept in the freezer at or near zero degrees Fahrenheit, but probably wouldn’t taste great”.